These are the famous inserts that will give your spaceship stability even in the tightest dogfight! One pack contains 9 small, 4 Medium and 3 large/epic inserts. They are made of 3 mm highly slip resistant foam. They lift the base just a tiny bit so that the foam grips the surface without affecting the placement of the maneuver template. On most playmats you can still slide the ship along the surface, in case of a bump. But as soon as you apply just a little pressure on the miniature they will be fixed in their spot! Used at FFG Worlds and judged tournament legal by FFG. The large grips are fitted for both large and epic ships. The large grips also have a hole for the epic bases, which you can choose to punch out or not. Handling and International shipping is (35 SEK/pack) is included in this price! 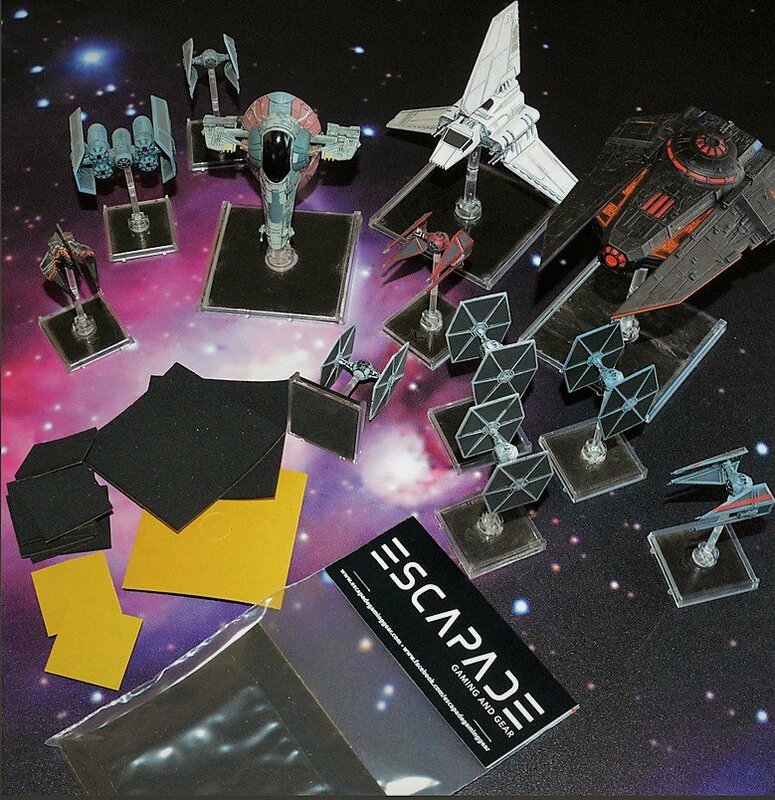 "These are the best thing since Soontir Fel and I’ve used them on my bases all throughout my X-Wing career. Cannot recommend them enough!"